As the summer holidays are impending, we all know that screen time will be increasing in our households. 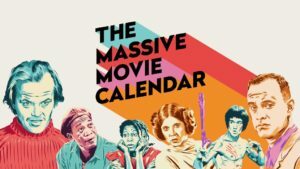 With studies revealing that 80% of the UK population watches films at home at least once a month or more, Carphone Warehouse has put together The Massive Movie Calendar offering movie inspiration 365 days a year to families who want to spend some quality time together. With each movie suggestion being linked in some way to a particular day of the year, the calendar offers a selection of 365 handpicked movies including action-thrillers, romantic dramas, classics, breakthrough global cinema, sci-fi and more. From this list, I’ve selected the top kid friendly movies, as well as some ideas for mum and dad to watch when they’ve cracked open a bottle of wine. 20,000 Leagues Under the Sea (A classic action-adventure for older kids). 127 hours- an incredible tale of survival at all costs. Many more to choose from in the movie calendar. Click here for inspiration.